As many of you know, the “Fudge” in “Floral and Fudge” represents my love of chocolate and the recipe-portion of my blog (which is heavily focused on chocolate desserts). 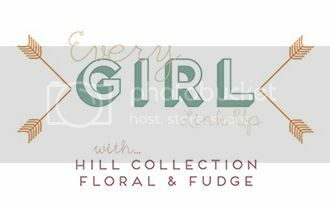 I suggested to Astleigh of Hill Collection that we include a Chocolate topic in one of our Every Girl Link-Ups, and she cleverly scheduled it for Valentine’s Week! So enjoy this “Cornflake Chocolate Chip Cookie” recipe—and if you have a recipe to share, feel free to link up at the bottom of this post! Last month, when I posted the Brown Butter & Sea Salt Chocolate Chip Cookies, I mentioned that I really want to try new variations of the Toll House original recipe. My Aunt Yvonne hinted that I would like crushed up cornflakes in my cookies to add a new texture. Naturally, I had to try the cornflake suggestion :) Turns out, they really do add a chewiness that is divine. Before I made the cookies, I was picturing a larger, flatter, browner cookie with a bit of crunch. At first, the cookies that came out looked pretty typical. But then for the last two dozen, I flattened the cookie on the tray, and I ended up with exactly the type I was looking for. Melt the butter. (I made sure it cooled a bit before the next step.) Mix the butter with the white and brown sugars. Add baking soda, salt, vanilla, and eggs. Mix well. Gradually add in the flour until it’s well-combined. Stir in crushed corn flakes and chocolate chips. Mix thoroughly. Form dough into walnut-sized balls (flatten them if you wish), and bake on a greased sheet for 10-12 minutes. Remove to a wire rack to cool. If cookies spread too much, chill the dough or knead in 1/3 cup more flour. Next month, (Thursday March 12th), for the Every Girl Link-Up, we will be posting “Around the House Remedies”—hiding cords, removing stains, etc. These cookies look so delicious. I'm going to have to try this! Yum! They look SO good!! I would never have thought to put cornflakes into cookies, but now I need to try it out! Yumm-O! I'll be adding this to my "To Do" recipe list. And awesome pictures BTW! Those look so good! Thanks for sharing!